- Investigation of scintillator materials for high energy and nuclear physics, astrophysics, dark matter search, beam diagnostics, medical imaging and other industrial applications. - Development of new crystal production methods (micropulling down, ceramics etc.). 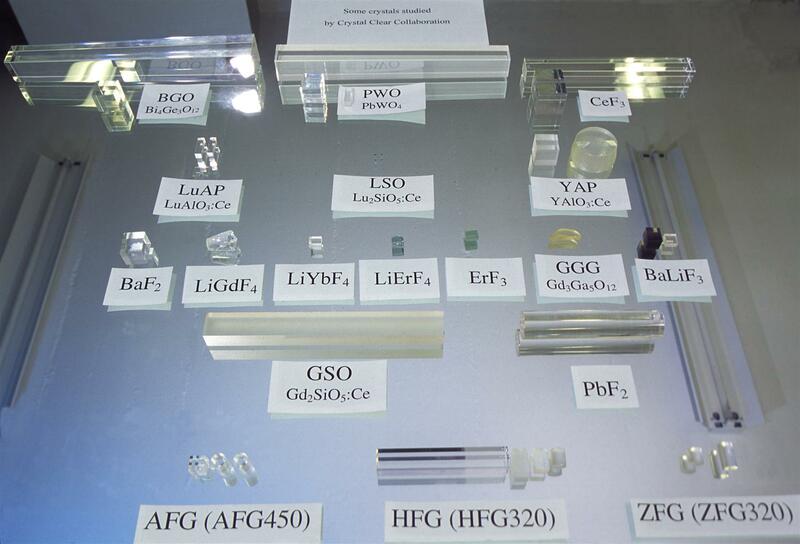 and is working in close collaboration with industrial partners and experts in crystal growing, solid-state physics, defects in solids, optics, etc. Crystal Clear is also the initiator of the series of international conferences on scintillators and their applications known as SCINT conferences. Crystal Clear is an international collaboration active on research and development on inorganic scintillation materials for novel ionizing radiation detectors, for high-energy physics, medical imaging and industrial applications.